SEATTLE, Feb. 28, 2019 /PRNewswire/ -- Clyde Hill Publishing and Levine Greenberg Rostan (LGR) Literary today announced that their client, former Amazon executive John Rossman, has signed an agreement with McGraw-Hill to publish his latest book, THINK LIKE AMAZON: 50 1/2 Ideas to Become a Digital Leader, available for pre-order now. The publication date is May 3, 2019. "For the last five years, my clients and the readers of my two previous books have asked repeatedly their own version of this question: 'What would Jeff do?' Of course, when people ask me, 'WWJD?' they're really asking questions like: What does being 'digital' mean? How do I avoid disruption? Will Amazon enter this business or geography? How does Amazon get these types of results? Would Amazon be interested in partnering with me? Would Amazon be interested in acquiring our company? How do I make my function as easy as shopping at Amazon? There are hundreds of questions in this vein, but they can all be boiled down to 'What would Jeff do?'" There is a playbook or system of beliefs and approaches for how they get results and think about their business. If you've been paying attention, you, too, can figure out how to think like Amazon. The wide set of scenarios and examples in Think Like Amazon may not directly answer your specific question, but by understanding Jeff's general worldview, if you will, you can better apply his insights and principles to your circumstances. "John is a superb example of the literary voices we want the world to hear more from," said Greg Shaw, founder of Clyde Hill Publishing. "He has lived digital disruption and he has really important stories and lessons that should be shared widely." John is a business advisor to several boards and business leaders. He is represented by Executive Speakers for engaging keynotes on innovation and leadership. 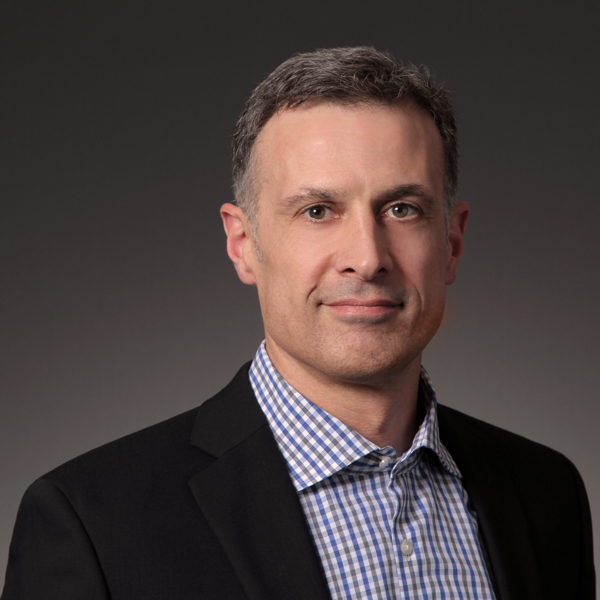 As the Managing Partner at Rossman Partners, John Rossman leads the digital strategy and operations advisory firm that helps clients compete in the digital era with the Internet of Things, and marketplace and API-driven platform business models. His acclaimed books-- The Amazon Way: 14 Leadership Principles of the World’s Most Disruptive Company and The Amazon Way on IoT: 10 Principles for Every Leader from the World’s Leading Internet of Things Strategies-- are considered a must read for digital strategy. WALTHAM, Mass.--(BUSINESS WIRE)--Dassault Systèmes (Paris:DSY) (Euronext Paris: #13065, DSY.PA) will focus on the economy of the future and the Industry Renaissance based on new ways of living, working, interacting, innovating and creating new business at its annual 3DEXPERIENCE Forum North America, held June 19-21 at the Marriott Copley Place in Boston. Attending senior executives will hear from market leaders who are transforming their businesses into social enterprises through digitalization and integrating business platforms throughout their organizations. John Rossman, a former Amazon executive who launched the company’s Marketplace, will keynote the event with a discussion about digital disruption, Making the Digital Leap – Lessons from Amazon. “Industries across North America are going through a digitalization renaissance being driven by platforms and the merging of the real and virtual worlds. Businesses of all sizes are jumping at the chance to seize this advantage. New companies like Tesla and Joby Aviation, are disrupting the automotive and aerospace industries. During the Forum speakers from companies in a variety of industries, GE Current, MG McGrath, Arrivo and Bell, will discuss how they are using the 3DEXPERIENCE platform to meet their business goals,” said Dean Marsh, Managing Director North America, Dassault Systemes. Decisiv, Inc., the leading provider of a Service Relationship Management (SRM) platform that drives unrivaled asset performance and utilization for the commercial vehicle, heavy equipment and industrial markets, announced today that Decisiv has been asked by John Rossman, the former Amazon executive and acclaimed author and Internet of Things (IoT) expert, to teach a session during his Leading the Digital Enterprise Masterclass organized by The Leadership Network. Today, manufacturers are using Decisiv’s IIoT and Service Relationship Management solutions to drive asset performance, equipment uptime, and to provide transparency and visibility across the entire service ecosystem. IIoT also gives Decisiv the ability to provide advanced data analytics to asset owners, OEMs, service providers, and call centers. Rossman’s “Leading the Digital Enterprise” Masterclass of The Leadership Network teaches industry leaders to create value by taking advantage of the emerging opportunities to build new IoT business capabilities for competitive differentiation. Using Amazon Web Services as a leading example, John Rossman provides course attendees with a practical framework on how to employ IoT in a business model. John Rossman is the author of The Amazon Way series, a former Amazon executive, and a sought-after advisor to leaders on digital strategies and leadership. At Amazon, Rossman launched and scaled the Amazon Marketplace business. In his role as Director of Enterprise Services at Amazon.com, he managed worldwide services for enterprise clients. His acclaimed books The Amazon Way: 14 Leadership Principles of the World’s Most Disruptive Company and The Amazon Way on IoT: 10 Principles for Every Leader from the World’s Leading Internet of Things Strategies are considered a must-read for business people. service providers and asset owners in the commercial vehicle, heavy equipment, and industrial markets. Its ability to harness, share and analyze connected asset data, and to intelligently enable service management, is the key to driving asset uptime and availability across the entire service ecosystem. For more information, visit http://www.decisiv.com. Rossman Partners is a leading digital strategy and operations advisory firm helping clients compete in the digital era. BOSTON, April 24, 2018 /PRNewswire-USNewswire/ -- More than 4,000 managed care pharmacy professionals and stakeholders from across the country have gathered in Boston this week to attend the Academy of Managed Care Pharmacy (AMCP) Managed Care & Specialty Pharmacy Annual Meeting. The Annual Meeting, which kicked off April 23 with pre-meeting events and runs through April 26, is the premier event for pharmacists, physicians, nurses and other healthcare professionals who manage pharmacy benefits for more than 270 million Americans. The Annual Meeting features nearly 40 educational sessions, dozens of ancillary educational programs, student pharmacist programming, an awards ceremony, a thought-provoking keynote speaker at the General Session, and an Expo Hall featuring 120 exhibitors and more than 400 scientific posters. "We are proud to present such robust programming at our Annual Meeting each spring," said AMCP CEO Susan A. Cantrell, RPh, CAE. "AMCP members rely on this event to gain valuable knowledge and share best practices that allow them to provide the very best patient care for millions of Americans. The Annual Meeting underscores our mission of improving health care for all." The educational programming is divided into six tracks: (1) Business Trends and the Quest for Value; (2) Succeeding in Specialty Management; (3) Practical Research that Identifies and Illuminates; (4) Spotlight on Formulary Management; (5) Keeping Up With Legislative and Regulatory Matters; (6) Perspectives in Managed Care Pharmacy. The Annual Meeting started Monday with a pre-meeting Specialty Connect event on managing the complexities of treating hemophilia. 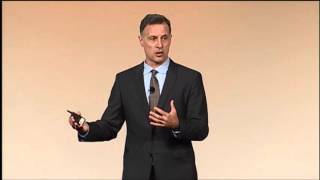 Tuesday's highlights include the General Session, which features keynote speaker John Rossman, former Director of Enterprise Services at Amazon.com, who will present his view of changes coming to the healthcare marketplace and what it means for various stakeholders. During the General Session, AMCP also will install its 2018-2019 Board of Directors, which includes four new officers: President-Elect James Kenney, RPh, MBA; Directors Debora Curry, PharmD; Patrick Gleason, PharmD, BCPS, FCCP, FAMCP, and Director Debra Minich, BSPharm, RPh. In addition, AMCP will provide honorary membership to its eight AMCP Founders: Henry Blissenbach, BS, PharmD; Albert Carver, BS Pharmacy; John Ciufo, MS; Perry Cohen, BS Pharmacy, PharmD; Jay Messeroff, BS Pharmacy; Robert Navarro, PharmD; Pete Penna, PharmD; and Norrie Thomas, BS Pharmacy, MS, PhD. On Wednesday evening, AMCP will recognize managed care pharmacy leaders who have made lasting contributions to managed care pharmacy at a gala Awards Dinner. Other highlights include the Expo, which features 120 exhibitors as well as AMCP's Annual Poster Program, displaying more than 400 professional and student research posters on the latest practices of managed care pharmacy. Student programming includes the 18th Annual National Student Pharmacist Pharmacy & Therapeutics Competition (P&T) and 2018 Best Poster Contests for student pharmacists, resident/fellows, and graduate students. In addition, more than 100 student pharmacists will attend a leadership academy designed to set them on a course for careers in managed care pharmacy. In addition to the formal programming, the Annual Meeting includes nine independently designed Science and Innovation Theaters; nine Satellite Symposia; and four Industry Workshops, all covering a wide range of topics on specific products, therapeutic areas and/or disease states. IoT - Identify your problem Take the Big IoT Leap or Baby Steps? NEW YORK, Feb. 13, 2018 /PRNewswire/ -- Change is the only constant in business today. Every industry is being disrupted and only those companies that respond quickly and are willing to disrupt themselves will succeed in the next era of the digital age. The CIO is at the center of business transformation where he or she is expected to help the CEO and the board to identify how technology can be leveraged to fuel innovation and create new business models. As a result, the CIO's role in building a culture of innovation to enable the company to succeed in the age of disruption will be the dominant themes discussed at the upcoming 2018 CIO Summit of America, produced by HMG Strategy, to be held on March 28, 2018 at the Grand Hyatt New York in New York, N.Y.
"We live in an era of digital Darwinism where only the best and most adaptable companies will survive," said Hunter Muller, HMG Strategy's President & CEO. "To help their companies to succeed, CIOs must enable the enterprise to become more agile, collaborate closely with the CEO and the board, and foster a culture of genius to reimagine and reinvent the business." The industry's foremost CIO Leadership conference, which shines a spotlight on the best and brightest technology leaders, will kick-off with a series of hard-hitting, 20-minute HMG Lead, Innovate, Disrupt Tech Talks. The first will feature former Amazon executive John Rossman, Managing Partner, Rossman Partners and author of The Amazon Way Series. Rossman will share how Amazon fosters a culture of innovation, with lessons that are applicable for executives across industries. Other HMG Lead, Innovate, Disrupt Tech Talks will feature Jedidiah Yueh, Founder and Chairman, Delphix and author of Disrupt or Die: What the World Needs to Learn from Silicon Valley to Survive the Digital Era. Yueh will detail why classic business books such as The Innovator's Dilemma and The Lean Startup are failing businesses worldwide along with the mindset that executives need to adopt to succeed with digital disruption. Yueh's presentation will be followed by an executive interview with Priceline.com CTO Koby Avital. Other captivating sessions will include an executive panel featuring Marc Hamer, Corporate VP, Digital and Global CIO, Sealed Air Corporation; Earl Newsome, VP & CIO, Praxair, Inc.; Mark Moore, COO/Co-Founder, Inxeption; Larry Quinlan, Global CIO, Deloitte; Jim Swanson, CIO, Monsanto Company; Sigal Zarmi, Vice Chairwoman, Global CIO, PwC and moderated by Ramón Baez, Former SVP, Customer Evangelist, Hewlett Packard Enterprise who is now CIO Evangelist at HMG Strategy that will explore what it takes to lead, reimagine and reinvent the enterprise along with opportunities for working with fellow members of the C-suite to identify how cutting-edge technologies such as artificial intelligence, machine learning, blockchain, analytics, and cloud can be harnessed to drive innovation. Additional outstanding sessions will include an enthralling executive interview between HMG Strategy President & CEO Hunter Muller with Michael Kay, the Emmy Award-winning New York Yankees play-by-play announcer and YES Network host; an executive panel that will explore winning strategies for implementing a framework for digital disruption; an executive panel that will share valuable approaches for providing distinctive customer experience that can differentiate the brand; a panel of top venture capitalists that will examine the leadership competencies required to succeed in today's fast-paced and disruptive business environment; an executive panel that will assess emerging technologies that are driving speed to market and a competitive edge; a panel of leading search industry executives that will scrutinize the key attributes that make some technology executives more successful than others; an executive briefing by Jim Routh, CSO, Aetna; and an all-star panel of top technology executives who will share their experiences as to how courageous leadership can create value and generate new waves of business growth in the modern enterprise. WILLOW GROVE, PA, February 08, 2018 /24-7PressRelease/ -- The pioneers in procurement consulting since 1992, Source One Management Services, LLC is proud to announce its exclusive sponsorship of the Institute for Supply Management's (ISM) ExecIn Forum - a private event designed for supply management executives. The premier leadership forum will take place during ISM's Annual Conference, this year held from May 6-9 in Nashville, Tennessee. In addition to expert-led panel discussions and networking opportunities, ExecIn features private sessions with ISM2018's keynote speakers: former Governor of Massachusetts, Mitt Romney, founder of the Huffington Post, Arianna Huffington, and former Amazon executive, John Rossman. Source One's CEO Steven Belli expresses his enthusiasm for ExecIn, "It's an honor and a privilege to support ISM in delivering procurement executives the ExecIn Forum. For us, the event is an especially welcome opportunity to interact with other executives in Procurement and Strategic Sourcing. ExecIn provides an ideal forum for industry leaders to come together and exchange insights that will shape the future of supply management." The ExecIn sponsors also join an impressive roster of presenters and exhibitors at ISM2018. On Day 2 of the Annual Conference, Source One Analyst Kaitlyn Krigbaum will discuss methods for optimizing Procurement's performance and structure in her presentation: Orchestrating a Successful Procurement Transformation: A Symphony of Recruiting, Branding, and Leading. Additionally, Source One Director Diego De la Garza, will deliver a presentation entitled Overcoming Procurement's Internal Image Problem on Day 4. Both discussions promise to provide the forward-thinking insights that characterize Source One and its offerings. Attendees are welcome to visit booth #729 to learn more about the Source One's approach to Procurement and Strategic Sourcing. DALLAS, Jan. 26, 2018 /PRNewswire/ -- As CEO sentiment at the World Economic Forum in Davos has demonstrated, geo-political risk is the top concern occupying the minds of top executives. For CIOs and technology executives, this means that dialing into the CEO's agenda and helping the business to stay ahead of market disruption is a top priority. The courageous leadership qualities needed by CIOs in working with the CEO and board of directors to successfully propel the business into the future will be the prevailing themes that are shared at the upcoming 2018 Dallas CIO Executive Leadership Summit, produced by HMG Strategy, to be held on March 7, 2018 at the Renaissance Dallas Hotel in Dallas, TX. "CIOs that are focused on developing new business models and generating new waves of value for the enterprise must think and act like the CEO of Technology," said Hunter Muller, HMG Strategy's President & CEO. "Transformational technologies such as artificial intelligence, machine learning, blockchain, and analytics offer incredible opportunities for technology executives to reimagine and reinvent the business." The Dallas CIO Executive Leadership Summit will kick-off with an inspiring executive briefing presented by John Rossman, Managing Partner, Rossman Partners, former Amazon executive and author of The Amazon Way series. 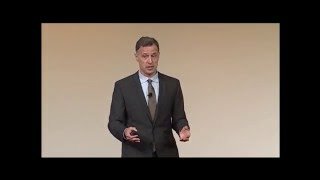 In his keynote, Rossman will describe how Amazon has developed a culture of innovation where innovation and invention are expected from all team members. Other thought-provoking sessions will include captivating HMG Tech Talk sessions featuring Jedidiah Yueh, Founder, and CEO, Delphix, and Mark Moore, COO/Co-Founder, Inxeption; an executive panel featuring Raveendra (Ravi) Boggaram, Sr. Director, Global Digital Services, PepsiCo; Chris Gates, SVP, Global Head of Compute Hosting Services, AIG; and Thomas Sweet, VP IT, GM Financial who will explore what it takes to lead, reimagine and reinvent the enterprise along with their roles in leading digital transformation strategies and opportunities for working with fellow members of the C-suite to deliver successful execution; an executive panel that will examine effective techniques for driving business innovation while securing the enterprise; a panel of leading search executives who will examine the top attributes that enable effective technology executives to succeed; an executive keynote by Tim Marshall, Chief Technology Officer and Co-Founder, Neudesic; a panel of technology executives that will explore emerging technologies that are driving speed to market and opportunities to obtain a competitive edge; and an executive panel who will share how CIOs must lead courageously as the CEO of Technology to create value and generate new waves of business growth in the modern enterprise. Presenting Partners for the Dallas Summit include Neudesic. Gold Partners include enSilo, Inxeption, Nutanix and Pure Storage. Supporting Partners include Zerto. The Digital Cybersecurity Partner of the Year includes SecurityScorecard. Strategic Partners include Egon Zehnder, Heidrick & Struggles, Korn Ferry, Russell Reynolds Associates, and Spencer Stuart. Alliance Partners include Amplify Partners, Glynn Capital, Greylock Partners, Lightspeed Venture Partners, and Sequoia. Association Partners include the Dallas/Fort Worth Area Chapter of SIM and Year Up Dallas/Fort Worth. 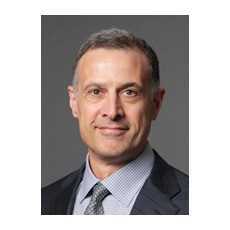 CHICAGO, Jan. 17, 2018 -- Supply Clinic, the online marketplace for dental supplies, announced the appointment of John Rossman, former Director of Amazon Marketplace business and Enterprise Services at Amazon.com, Managing Partner at Rossman Partners, and Senior Advisor at Alvarez & Marsal, to its Advisory Board. Throughout his career, Mr. Rossman has helped build, scale, and maintain technology platforms and digital strategies. “We’re thrilled to have John join our team. His experience building third-party marketplaces and scaling digital platforms is a tremendous asset to our company,” said Jacob Drucker, CEO of Supply Clinic. “Any industry that has trapped customers into unfriendly terms and antiquated customer experiences is open to disruption. The dental supply industry is an example where improved customer experience, transparent pricing and trusted selection will improve business for dentists serving patients. Supply Clinic is committed to transforming the industry and I’m thrilled to participate,” Mr. Rossman explained. John Rossman is currently the Managing Partner of Rossman Partners, and advises his clients on digital strategies and operations across many industries. 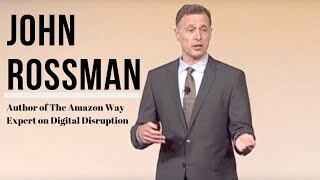 Mr. Rossman is also the author of The Amazon Way: 14 Leadership Principles of the World’s Most Disruptive Company, and is an expert on digital disruption and building and executing new business models. Before joining A&M, Mr. Rossman was Director of Merchant Integration and Enterprise Services at Amazon.com and led the launching and scaling the Amazon Marketplace business, which today accounts for over 50% of all units sold at Amazon. He managed worldwide services to clients including Target.com and Toys R Us. He had full operational and technical ownership for clients, overseeing online merchandising, website technologies, branded fulfillment delivery and customer service. Supply Clinic was founded by Dr. Scott Drucker and his brother Jacob, a statistician. As a Periodontal resident, Dr. Drucker could not find any trusted source to price-compare and buy supplies from different sellers. The brothers assembled a talented team and built Supply Clinic to fill the void. With 100 trusted sellers and 35,000 products, Supply Clinic lets customers compare products and pricing, and buy from multiple sellers with a single checkout. Willow Grove, PA, January 10, 2018 --(PR.com)-- Industry-recognized Procurement Services provider Source One Management Services, LLC announces its partnership with the Institute for Supply Management (ISM) as Diamond Sponsors for their upcoming Annual Conference. This three-day event, held from May 6-9 in Nashville, Tennessee, promises to unite procurement leaders from around the globe to share insights for tackling today’s supply base challenges. As a leading procurement and strategic sourcing consultancy, Source One is committed to driving innovation in supply management and promoting the strategic value of procurement. This is a mission they share with the Institute for Supply Management. Bringing together thousands of supply management and procurement leaders, ISM2018 presents a prime opportunity for Source One’s procurement experts to share their insights and best practices for driving the evolution of procurement. ISM2018 marks the third consecutive year Source One has supported the premier supply chain event as Diamond Sponsors. As past exhibitors and speakers of the ISM Annual Conference, Source One’s Strategic Sourcing experts have led conversations that have promoted the advancement of the Procurement function – helping companies reduce costs, better invest in supply management talent, and build more strategic supplier relationships. This year as guest speakers, members of Source One’s cost reduction team will be exploring the keys to Procurement Transformation and building relationships with stakeholders. This year, Source One’s procurement experts join a loaded conference agenda full of panel discussions and learning sessions exploring strategies for better leveraging Procurement to produce savings, engage internal and external stakeholders, and drive enterprise-wide change. Supply chain professionals ranging from recent graduates to C-level executives will enjoy tailored career development and team building experiences. In addition to procurement leaders, ISM2018 welcomes keynote speakers: Former Governor of Massachusetts, Mitt Romney; founder of The Huffington Post, Arianna Huffington; and former Amazon executive, John Rossman. Source One will also serve as the exclusive sponsor of ExecIn – a private element of ISM2018. ExecIn is an executives-only sub-conference reserved for non-consulting supply leaders who represent organizations with annual revenues of $1.2 Billion or more. The event features private sessions with keynote speakers and additional networking opportunities for procurement leaders. Source One Management Services joins an extensive list of ISM2018 exhibitors. ISM2018 attendees are welcome to stop by booth #729 to learn more about Source One’s extensive portfolio of procurement services. The Institute for Supply Management™ (ISM) is the world’s largest organization dedicated to advancements in procurement and supply management. For over a century, ISM has provided industry professionals and organizations with education, certifications, leadership development, and comprehensive research. The twelve days of Christmas are upon us, but that doesn't mean you can't ask questions! The elves at HowStuffWorks gift-wrapped the best answers. Here are some of the stories you may have missed this week. Every pet owner wants their furry friend to be healthy, but what should we be feeding our dogs? The answer isn't so simple. Nutritionists know some of the minimum amounts of nutrients dogs need, but they aren't sure how to strike the right balance. If you think the ingredient list on your pet's food will tell you everything you need to know, you'd be wrong. Often the list is nothing more than a marketing ploy because it doesn't tell you anything about the quality of the ingredients or their proportions. You're better off looking for companies that produce pet food in plants that they own. When the news was announced that Amazon acquired Whole Foods, many were left scratching their heads and wondering why Amazon is not considered a monopoly. The short answer is that it doesn't fit the definition that the courts and Federal Trade Commission use. Generally, companies can grow as much as they want as long as prices are affordable, and consumers don't suffer. However, Amazon's business model is unprecedented and may represent a new form of monopoly in the digital age. John Rossman, a former Amazon executive, sees the company's behavior as "coopetition," a mix of cooperation and competition, where third parties compete with, partner with and are clients of Amazon. Policy makers simply don't know enough about "coopetition" to overhaul the antitrust laws. Yet. The holidays are synonymous with sweets, especially candy. In the latest episode of Stuff You Missed in History Class, Holly and Tracy uncover the historical roots of our favorite holiday treats. For instance, candy canes are a seasonal staple and have been around for centuries, but no one knows for sure where they were first concocted. Legend has it that, in the 1600s, a German choirmaster gave them to children to keep them quiet during church. The white peppermint candy cane represented the purity of Christ, and its shape was reminiscent of a shepherd's hook. Molding the candy by hand was risky because the hooks often broke, but in the 1920s, the mass production of candy canes improved quality control. Amazon did not set out to become a cloud computing company. The online retail giant knew the cloud platform it built to solve its own IT problems was valuable, but it had to put that theory to the ultimate test and to have external customers was the only way it would get real, critical feedback on what is now known as Amazon Web Services. Today, AWS is unavoidable as one of the largest cloud computing provider in the world. 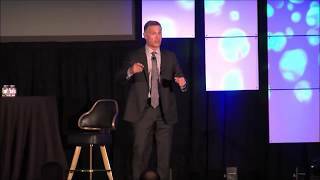 Solution providers can learn from Amazon's forward-thinking, customer-first mindset, John Rossman, a former Amazon executive and managing director with Alvarez & Marsal Business Consulting, told a packed audience of solution providers at The Channel Company's NexGen 2017 Conference and Technology Expo on Tuesday. Rossman, author of "The Amazon Way: 14 Leadership Principles Behind the World’s Most Disruptive Company," said that Amazon stands out because of its "obsession" for making it progressively easier for customers to consume retail goods and digital services, rather than being motivated by beating the competition. That, he said, is an important takeaway for many solution providers who are in the midst of changing or evolving their own businesses. "Amazon pays attention to competitors, but they set out to serve customers in new ways, and it just so happens that it often impacts others," Rossman said. "They never go in thinking they are going to disrupt anything. They want to attract customers versus locking them in, and that's a worthy cause." Amazon is very different than many technology companies and solution provider organizations in that it took the retail giant and cloud provider years before it ever turned a profit, said David Thompson, a hardware sales executive for Apex Computer Systems, Inc., a Cerritos, Calif.-based managed services provider. "That speaks to their resolve and determination to be successful," he said. Apex, which partners with large providers such as Microsoft, Lenovo, and IBM, knows that partnerships with any third-party provider can be stressful when strategies or priorities on either side change. For an industry heavyweight like Amazon, this stress can be magnified for solution providers, Thompson said. "Being the larger of the partners, they are in control. You do it their way, or you're not a partner. But it’s ultimately a win for them to work with partners and pass the goodwill around," he said. At the same time, it's important for solution providers that partner with industry giants such as Amazon to look to the future and have their strategies for future growth mapped out without relying on one large partnership, he said. "With the way Amazon stacks their priorities, you may come out on the short end of the stick if it's not to their advantage, so you have to be prepared for that if you're going to join in. You have to have a contingency plan," Thompson said. For its part, Amazon has always been a company that is looking to the next big thing, Rossman said. Amazon was always a technology-first company and willing to invent to stay on the bleeding edge of computer sciences, Rossman explained. For that reason, the industry giant can avoid bureaucracy and move quickly, a typical challenge that faces many of the largest IT providers. "As Amazon does, assume your business five years ago is not your business today," he said. But unlike Amazon, solution providers can't compete on cost. Instead, partners looking to the future should be placing their bets on new, innovating areas early so that in five years, the solutions will be ready for primetime and profitable, Rossman said. Borrowing words from Amazon's CEO Jeff Bezos, Rossman reminded the audience that innovation is a series of failures. "By the time you realize there is a market there, you may not have an opportunity to be at the forefront of that market," he said. Registration Now Open for the World's Largest Supply Management Conference Focused on "Global Insights, Peak Performance"
PHOENIX, Oct. 17, 2017 /PRNewswire/ -- The Institute for Supply Management® (ISM®), the first and largest not-for-profit professional supply management organization worldwide, has announced that registration is now open for the supply management profession's largest global event, ISM2018, which will be held May 6-9, 2018 at the Gaylord Opryland Resort & Convention Center in Nashville, Tennessee. Focused on, "Global Insights, Peak Performance," the event expects to draw over 2,500 supply management executives and professionals from around the world seeking actionable ideas, standards and best practices to give their organizations a competitive advantage. More than 80 interactive sessions will be part of six practitioner-led learning tracks at ISM2018, and will feature executives from firms such as Google, Pfizer, and P.F. Chang's China Bistro. All sessions are mapped to the ISM Mastery Model®, so attendees can enhance their conference experience by selecting sessions that are specifically designed to improve their individual supply management competencies. The impressive line-up will include keynoters Arianna Huffington, founder and CEO of the Huffington Post and Thrive Global; Mitt Romney, governor of Massachusetts (2003-2007), president and CEO of the Salt Lake Organizing Committee for the 2002 Winter Olympic Games, and founder and CEO of Bain Capital; and featured speaker John Rossman, former Amazon executive and author of "The Amazon Way: 14 Leadership Principles Behind the World's Most Disruptive Company." "We are pleased that these accomplished individuals have agreed to share key insights, anecdotes, and inspirational stories that our own participants can draw from. They will help set the tone for an exceptional event filled with strong learning and networking opportunities," said Tom Derry, ISM CEO. Invitation-only ExecIn: A select gathering of top procurement and supply management leaders will participate in special executive-level sessions, including exclusive access to these speakers. Emerging Professionals Experience: Designed for those with one to eight years of experience who are working toward their CPSM® (Certified Professional in Supply Management®) designation, this experience features a personal ambassador, specialized career building and networking sessions, on-site CPSM accelerated training, and invitations to exclusive social events. Team Experience: Participants in this program will enjoy specialized counsel from ISM executive leadership, and preferred "team seating" near the front of all ISM2018 keynote sessions. It's limited to only 100 people, so interested attendees should act quickly.For groups of five or more, special pricing is available: If groups register by January 15, 2018 they can receive up to 45 percent savings compared to on-site registration. Individuals can save 40 percent by registering by January 15, 2018 compared to on-site registration. A number of scholarship and award recipients will also be recognized during ISM2018, including the 2018 R. Gene Richter Scholars and the J. Shipman Gold Medal Award winner. The Richter Scholarship is awarded annually to top supply chain management students from across the U.S., and the Shipman Award is given annually to an individual who has performed distinguished service for the cause and advancement of the supply management profession. In addition, recipients of the annual 30 Under 30 Rising Supply Chain Stars award, which recognizes promising young supply chain professionals, will also be honored during the conference. The future of grocery belongs to the fast. That's arguably the biggest takeaway from Xcelerate Retail 2017, a technology conference held by Symphony Retail Solutions, a division of Symphony Technology Group, which took place Sept. 12-14 in Las Vegas. And while other essentials critical for success also were shared – from increased focus on customer-centricity to implementing new technologies such as artificial intelligence and promotion-planning software – the message was clear: Food retailers that move the fastest at developing and implementing their strategies to compete in an Amazon.com world will be the ones that compete successfully against the ecommerce giant. “If we are to do anything going forward from this moment in time, it's to appreciate that the future is coming at us faster than ever before,” said Jim Carroll, a futurist, noting that retailers need to think big, but start small, and then scale fast. Dr. Romesh Wadhwani, founder, chairman and CEO of Palo Alto, Calif.-based Symphony Technology Group, also pointed to the necessity of moving faster, but not while looking at yesterday's performance statistics. Amazon received tremendous publicity when it recently cut prices on just 80 items at Whole Foods Market, on its first day as the owner of the Austin, Texas-based grocer. But it didn’t receive the attention for the price cuts themselves – it did so for the speed at which it implemented them. Grocers need to be as fast with what they do, because disruption will continue, and technology will play a much more important role in grocery, which will require grocers to work with technology companies not just to defend themselves, but also “punch back” at Amazon, Wadhwani noted. In the next couple of years, grocers trying to fight Amazon will need technology to help with dynamic pricing and to understand promotions. But probably even more important, they will need a deeper knowledge of their customers, Wadhwani said. Having a “customer obsession” might be a more accurate – albeit extreme – piece of advice here: John Rossman, Amazon's former director of enterprise services who's now managing director at the Seattle office of global consultancy Alvarez & Marsal, used the phrase to describe Amazon's approach to customer-centric retail, which he helped strategize with founder and CEO Jeff Bezos in the ecommerce giant’s early years. Amy Hahn, SVP of marketing with Carlisle, Pa.-based grocery company Ahold USA, also noted the importance of technology for the sake of being more customer-centric in her presentation, and that her company is one grocer shifting its focus in this area. Technology and marketing are intersecting, and there are so many new technologies – artificial intelligence, augmented reality, sensor fusion, near-field-communication pay, voice assistants, etc. – yet so little time to implement them. She suggested that whatever retailers employ, they must do it to bring a personal touch to the customer (and with the customer opting in, of course). Just like in the days before cash-and-carry grocery, grocer-shopper interaction has to be one-to-one, and technology can do that: Today's shoppers want those same grocery assistants on the other end when ordering, whether online, via voice or through another method, Hahn noted. Ahold does this through several methods, whether personalized promotions and pricing to save money, personal health dashboards to help shoppers eat better, or saving time through advanced list-building. Additionally, proprietary sales data plays a huge role in informing targeting and measuring the impact of targeted advertisements. Also pointing to the importance of data in customer-centricity was Sahir Anand, managing VP of research and strategy with EnsembleIQ, Progressive Grocer’s parent company, who noted that grocers must adopt a customer-centric focus based on real-time data availability, rather than sticking to a one-size-fits-all concept. 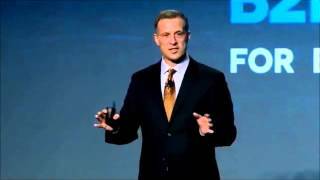 All too often, however, retailers talk a big game but don't act on it when it comes to focusing on the customer, said Evan Anthony, owner and CEO of EDA Consulting and former VP of marketing, advertising, loyalty and research with the Cincinnati-based Kroger Co. (pictured in the opening image). The time to start is now – whether grocers are pulling money out of print marketing and putting it into other customer-centric marketing channels, or activating dynamic pricing in stores to compete in an Amazon world, even if some pushback comes from the customer. “You can't keep doing what you've always done,” he explained. “You've got to make some shifts” at the right time. Anthony continued: "Everyone has weaknesses, even Amazon. Learn them. Exploit them. Make the competition do what it doesn't want to do." While competition is tougher than ever in food retail, and many are likely to fall and not get back up from Amazon’s blows, “doom and gloom” is hardly the term to apply to physical stores' outlook, argued John Lucot, former president and COO of Pittsburgh-based grocer Giant Eagle. “This whole doom and gloom about brick and mortar going away, I don't share that,” he said, adding that “it's about relevance. … It's the start of a discussion of how we think differently.”In a co-presentation, Lucot and Dr. Pallab Chatterjee, CEO of Symphony EYC and Chairman of Symphony Retail Solutions, divisions of Symphony Technology Group, noted that Supermarket 2020 – a theoretical concept that reimagines the future physical grocery store of the near future – shows that brick and mortar has a definite future in food retail. However, unlike today’s stores, it may be set up in a shopping center format with other necessities such as banks and salons. The store of the near future may have six to seven aisles instead of 15 to 20, given the rise of hard-discount, limited-assortment grocers, as well as more center store sales moving online. Additionally, average product range per category could go from 40 to 80 SKUs to 10 or lower, prepared foods may see up to 25 percent of space dedicated to food-court-style seating, and locally sourced offerings could grow up to 25 percent of the assortment, with local produce offering “instant info” that can easily be accessed via smart devices (possibly even via augmented reality). And more stores likely will offer drive-up click-and-collect, while the number of manned-checkout versus self-checkout counters could invert from 80 percent to 20 percent to 20 percent to 80 percent. Learn about Amazon, Anthony said. What did they do in the past to get where they are today? It might help you know what they're going to do in the future, and prepare. Don't confuse thinking big with betting big, Rossman explained. How can you make small, low-risk bets that can be tested and adjusted? Remember that people are hard-wired to make most of their decisions through shorthand rules of thumb, reminded Joan Lewis, principal of Joan Lewis Consulting and former senior executive at Procter & Gamble. Think of ways you can share supply chain data with suppliers and work together to apply it, recommended Graeme Cooksley, CEO and president of Symphony GOLD, a Symphony Technology Group division. There are so much data in the supply chain, which can be daunting for retailers seeking to analyze and use it. Spend lots of time not just reviewing metrics, Rossman advised, but also making sure you have the right ones and are adding to them. Take advantage of new technologies – from voice assistants and drone technology to artificial intelligence – to rethink every aspect of your business, reimagining the shopping experience, streamlining operations and fostering a culture of innovation, Cooksley said. Culture is more important than technology, said Ken Fenyo, head of consumer markets for McKinsey Fast Growth, who previously served as VP of loyalty at Kroger. But how do you create a culture where it's OK to test things and fail? An important point: Grocers don't have to build it all themselves, but instead, create a whole series of relationships (such as with startups) to test technology and see what works. The Xcelerate Retail Forum also will be held in Paris Oct. 9-11. Rossman: I think over the past 18 months that certainly has changed, right? That's because of the impact that Amazon has had, the number of different businesses that they're in and that they're uprooting and disrupting, as well as his own personal prestige and the wealth ticker that goes along with that and everything. COLORADO SPRINGS, Colo., June 8, 2017 — The International Customer Management Institute (ICMI) announces new headline speakers for its upcoming event, ICMI Contact Center Demo, taking place September 25-27, 2017 in Las Vegas, NV. Jim Knight, author and former head of training at Hard Rock and John Rossman, author and former Amazon Executive. ICMI Demo will also feature new contact center tours, networking opportunities and presentations. Jim Knight, author and former head of training at Hard Rock, presenting, Culture That Rocks! : Jim Knight has put his experience and creativity to work to develop cutting-edge training concepts. During his time with the Hard Rock brand, his team won many awards for their excellent work, including Brandon Hall’s Gold Best in Class Award for their “Service Recovery” e-learning course. Knight was also recognized by Training Magazine as representing one of the Top 125 training companies in the world, out of all industries and businesses. Knight’s presentation, Culture That Rocks!, will explain the obstacles faced and the action necessary to build an awesome team culture. Knight will focus on departments tasked with revolutionizing the corporate culture of their organization. 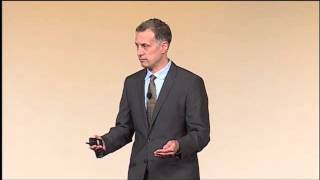 John Rossman, author and former Amazon Executive, presenting, Becoming Obsessed with the Customer: Rossman has more than 28 years of technology strategy, design implementation and operating experience. In his presentation, Becoming Obsessed with the Customer, Rossman will pull from his experience with Amazon, a legendary customer service company, to help attendees improve the customer experience. Rossman will reveal Amazon’s “holy trinity” for customers and demonstrate how customers can become your best salespeople. AIM, an Omaha nonprofit that promotes economic growth through technology, will hold its 2017 Infotec conference on Tuesday at Embassy Suites La Vista. Business leaders and others are invited to learn how to streamline business and reach more customers through technology. John Rossman, author of “The Amazon Way on IoT: 10 Principles for Every Leader from the World’s Leading Internet of Things Strategies” and other publications, is the event’s featured speaker. The Internet of things is “the technology of putting sensors into everyday items,” he said. Those sensors can gather data that can help businesses become more efficient and boost their customer base, Rossman said. The event is for startups to large companies, Rossman said. The Internet of things is a rapidly growing technology that can be used in just about every industry: retail, education, manufacturing, health care and insurance, among others, Rossman said. The conference also features breakout sessions on leadership skills, cybersecurity, virtual reality, management tools, the cloud and other topics. Other speakers include Kelly Burdine, data analyst lead at Hudl; Michael Hemenway, director, decision support center at Union Pacific; and Branden Collingsworth, director of predictive analytics at HDR. Since its launch in 1994, Amazon has grown from an online bookseller to a mega-retailer, with lines of business that also include cloud computing, crowd-sourcing and streaming services. In 2015 it became the fastest company ever to reach $100 billion in annual sales, and since the beginning of this year stock has stayed between $750 and nearly $850 per share. Rossman spoke in Tulsa on Wednesday at Tulsa Business Forums, presented annually by Oklahoma State University’s Spears School of Business. Before the lecture, Rossman sat down with the Tulsa World for a Q&A. What is “The Amazon Way”? The Amazon Way is really about the company’s culture and their leadership principles and how they go about getting the results that they get, which are both world-class operators and systematic innovators. They run a worldwide conglomerate business today. Amazon is in so many different businesses, way beyond retail. I think it really is those leadership principles, which is really an articulation of “How do we make decisions,” that allows them to make good decisions, consistent decisions and keep the organization running fast and in a low bureaucratic manner. The Amazon Way is about all those principles around being obsessed with your customer and taking ownership for results and thinking big. All those ways together are The Amazon Way. Is that something that you think other companies should be doing? I don’t either believe or advise that anybody should take these principles and make them their own. The key, though, is most companies are trying to think through “What’s the digital opportunity in our business?” or “Where could somebody new, a nonincumbent, disrupt our business?” And figuring out how do I act in an agile manner, or how do I both manage my large legacy business and start new things and to take more bets — that’s kind of the universal challenge for management teams. So at a minimum thinking through: how do we make decisions and how do we create an environment that fosters appropriate risk-taking and how do we put our customer first and our organization second behind that. This is how Amazon does it, and you can learn and draw things from that, but I think a leadership team really needs to think about how do we go about making that work for our team and how we want to run our business and our culture and our heritage. Were you part of putting together these leadership principles or were they already established when you came to Amazon? The principles weren’t codified at that point, so they weren’t written down, but you worked them every single day. You used them in meetings, and they were referred to and you talked about them. It was sometime after I left that they wrote them down. But I was there at a period in time when we got clear about Amazon essentially being two types of businesses — one is being a retailer, and the other is being a platform business that offers core capabilities that both Amazon the retailer can use and other businesses can use. Amazon Web Services is a good example of a platform business. The business I ran there — the Marketplace business — is a good example of a platform business. And so those were kind of the formational days of really what started to expand Amazon well beyond being an internet retailer. Tell me about the first leadership principle, customer obsession. What does that mean and how did you guys carry that out? What it means first and foremost is that your customer is not present, and you need to have great empathy and great insights in understanding the customers’ needs, or maybe opportunities that they don’t even recognize today. And you need to be willing to do hard things in order to achieve that kind of customer experience that you envision. They use the word obsession pretty purposefully, meaning it’s easy to say you’re “customer focused,” but when you’re obsessed about something, you’re kind of irrational and you’re willing to do very hard things and you’re willing to stick with it. A lot of where Amazon’s innovations come from is that deep customer understanding and looking upstream and downstream … saying where is there a bad customer experience and how might Amazon help improve or fix that customer experience, and that’s lead them to a lot of new businesses. Are there any other leadership principles you want to highlight? There’s a leadership principle called “invent and simplify.” It is No. 3. Amazon has always defined itself as a technology company and as innovators and explorers, and retail was the first business model that they focused on. I think that that willingness to apply resources and being curious and being willing to invent on behalf of your customer or on behalf of driving operational improvements has been a key force to help them innovate. It’s just part of their ethos to look for new opportunities and to solve problems that may have not been solved yet. There’s a lot of very visible examples of that, but I think the drones are a very clear one where they’re on the absolute leading edge of building that capability. There’s going to be a lot of trial and error, but if you have a longterm perspective of the market and you have the opportunity then the investment makes sense. If you have a short term perspective on the opportunity of your business then an investment like that will never make sense. How have the principles benefited the company? I think the primary benefit is just that as an organization they make decisions in a consistent manner. They can scale decision-making but still get consistent decisions made. It’s a way of articulating their strategy. And it helps them recruit, so they specifically are looking for people that demonstrate these types of values, they evaluate talent relative to living up to these principles. So there’s a lot of benefits, but I think it’s primarily about moving fast and smartly. Does Amazon have a culture that discourages employees from getting too comfortable in their roles? I don’t know if it’s that they don’t want them to get too comfortable. I would express it as more of every function, every role, every cost has an opportunity to be improved. Amazon’s original name was Relentless.com. And so just that relentlessness of everything can always be improved, you’re never done, I think is really the culture of continuous improvement. John Rossman discussed the importance of failing but succeeded in entertaining and informing a crowd of about 175 in the Wes Watkins Center on Wednesday night. The Spears School of Business, Student Government Association and President’s Speaker Series sponsored the speech. Rossman, a former Amazon executive, explained leadership principles from his book “Leadership the Amazon Way” to begin his presentation. The energy of the audience matched the dimly lit appearance of the room. Those in attendance were attentive yet quiet during Rossman’s speech. The crowd chuckled after Rossman, an Oregon State University graduate, sprinkled in a few jokes, ranging from topics such as bow ties to what was on the menu for dinner. The main focus of his speech included accepting failure and an overview of leadership principles from his book. Rossman said before writing his book, he felt extremely unqualified to do so. But to make the process simpler, he followed certain guiding principles for writing it. Rossman received his first spurt of laughter after explaining his first principle. He said he wanted readers to be able to read his book on a plane with a glass of wine, joking the alcoholic beverage would cause readers to skim over any errors he made while writing. Kyle Eastham, a professor in the Spears School of Business, said he didn’t have any expectations coming in but mirrored Rossman’s sentiments following the speech. Ken Eastman, dean of the Spears School of Business, said the decision to bring Rossman, a former executive for an online company, to speak was made because the Internet is an important topic. Too often, people point to why a problem can’t be solved instead of finding ways around those obstacles, Rossman said. After 40 minutes of discussing the content of his book and career, Rossman allowed the audience to ask questions, yet in an unorthodox manner. Before the discussion began, Ryan Neal, director of the Speakers Board, and Eastman gave the audience a phone number that could receive questions from text messages. Each sitting to Rossman’s side, Neal and Eastman took turns asking questions, which led to Rossman comparing the back-and-forth action to a tennis match, garnering more laughter from the crowd. For more information about ESB exclusive and disruption speaker John Rossman, contact Executive Speakers Bureau at (901) 754-9404. CIO: Former Amazon executive John Rossman says these 10 principles can help leaders successfully approach the internet of things. The internet of things (IoT) presents an opportunity for enterprises to rewrite the rules of their industry. The potential upside is massive: According to research firm Gartner, there will be nearly 20 billion devices on the IoT by 2020, and IoT product and service suppliers will generate $300 billion+ in revenue. By bringing together sensors, connectivity, cloud storage, processing, analytics and machine learning, IoT may well transform countless industries, from healthcare to manufacturing to utilities, transit, government and more. But IoT is still in its early days. Creating and executing an IoT strategy for your organization is no mean feat, says John Rossman, author of The Amazon Way on IoT: 10 Principles for Every Leader from the World's Leading Internet of Things Strategies. Rossman, who spent four years launching and then running Amazon's Marketplace business, and who was also ran Amazon's Enterprise Services business, initially set out to create a specific roadmap to help companies approach IoT. But in the course of developing the book, he realized that methods are highly situational. Principles, on the other hand, provide vision that allow leaders to develop an IoT strategy customized to their unique needs. "I think of IoT in layers," Rossman says. "In one way, it's the technology component, the sensors that are connected to cloud computing and analytics that are able to make optimizations that go back out to devices in the field. On the next level, it's really the use case that can be enabled. Whether its consumer or more industrial and business-to-business scenarios, there's a set of developing use cases that come up. At the third level, it's really the business models that can be developed, morphed and changed because of these insights and the ability to be always on." Rossman recommends that business leaders focused on IoT think of it as a journey, not a single step. "You don't implement IoT," he says. "This is an ongoing portfolio or program or overarching strategy for a company. It's a journey: how IoT is impacting your industry, where investors are going, where competitors are going." Here are the 10 principles Rossman believes you should take into account when developing your IoT strategy. "They aren't all applicable to every company, but they do need to be contemplated," he says. First and foremost, Rossman says, pursue IoT projects only if you're obsessed about your customers, their experiences and how you can use connected devices to solve their problems. "Connected devices and sensors give yet another vehicle to improve the customer experience," he says. "If it improves the customer experience, that's probably enough business rationale to proceed with it. Figure out how to monetize it afterward." Leaders start with the customer and work backward, Rossman says, and they work tirelessly to earn and keep customer trust. In an IoT-enabled world, your customers will interact with you across a series of platforms and devices. "You need to focus on the omnichannel experience when you connect across channels and experiences," Rossman says. "Providing that seamless customer experience is a really important part of improving that customer experience." The key to creating great omnichannel experiences is to master information continuity, Rossman says. For instance, if a customer has a faulty connected vacuum cleaner and calls one of your customer-service agents, that agent should already be able to see where the vacuum cleaner is and what's wrong with it — better yet, that agent could contact the customer proactively with a solution. Connected devices and IoT offer the opportunity to examine your processes like never before, providing the tools you need to drive change and improvements on a continuous basis. "You have access to much better data, much better signals," Rossman says. IoT will help you collect data on your operations at a scale and magnitude beyond anything you've seen before, Rossman says, but the data isn't enough. You need to leverage that data with models, analytics and algorithms that help you generate insight from it. "Your operations can give you much better data, which can tell you what's happening within your organization," Rossman says. "With that, you can strive to create a formulaic understanding of your processes that will give you more insight and definition to tighten up and reinvent those processes." Within Amazon, Rossman says, teams spend as much, or even more time, defining and agreeing on how to measure a new feature, service or product as they do designing the feature itself. They consider the inputs and outputs of an operation and the data required to run that operation and understand its inner workings. Successfully innovating with IoT requires vision, Rossman says. You need to think big if you're going to create fundamental transformation. But big visions are brought into being with small, discrete projects that allow you to fail and iterate with experience gained from those failures. "IoT is about a journey, and you should have a notion of what the long journey is," Rossman says. "But you need to proceed in small, agile, low-risk bets as you seek to prove out what works and what doesn't. Understand what the small bets are that you're making relative to IoT and other innovations, de-scale the risk of those bets and they're no longer a bet anymore." A platform business model, which allows other businesses to leverage your capabilities to build and grow their own businesses, creates a strong, sustainable competitive advantage for your business, Rossman says. Seek ways to allow other businesses to leverage your connected devices. "A platform business is a type of business that enables others," Rossman says. "IoT, for some companies, provides the opportunity to think about how your products and services could be a platform for other companies to offer insights and services to their customers." Selling products is well and good, but IoT-connected devices allow you to go a step further and sell outcomes. Under an outcome-based business model, customers pay for the results a product or service provides, rather than the product or service itself. That, Rossman says, shifts ownership, effectiveness and maintenance responsibilities from the customer to the provider; it also aligns customer and provider interests. "This is about the opportunity for companies to get real-time insights into how their products are operating with customers," Rossman says. "You transition to being a product with maintenance to providing the outcome that your customers want." These models encompass a number of variations, from self-monitoring services that replenish themselves automatically, to subscription services with a regular fee, to 'as-a-service' businesses with services tailored to individual needs. Rossman acknowledges that outcome-based business models are not the right fit for every business, but if they are, he says, they can increase your profits, improve your relationships with customers and increase customer loyalty. Data just may be the new "black gold." While Rossman says it's as yet difficult to find examples of IoT-based companies that have successfully packaged and sold their IoT data, the time is coming. The confluence of sensors, cloud computing, third-party data sources and APIs will all feed into the market for IoT data brokerages. "The data is the business model," Rossman says. "If data is the new black gold out there, then IoT creates a lot of data. Some companies will have the opportunity to create value and monetize the data they're creating from sensors. It's a business model that you'll see more and more of going forward." Some of that market is beginning to materialize, he says. Financial trading companies are buying cargo ship transit and port arrival information. Utility companies are buying building and appliance energy-consumption data. Smart home companies are selling data to advertisers and insurance companies. Innovation is the name of the game. IoT creates opportunities for expansion up and down the value chain, Rossman says. "Enter business in one place in the value chain," he says. "Then maybe partner heavily to get an overall solution. Learn the industry, looking upstream and downstream. Look for indicators of bad customer experience or trapped excess margin. Then look for strategies that would disrupt that industry value chain through IoT." A value chain is the end-to-end set of processes and activities for an industry, Rossman says. Imagine, for instance, an HVAC system provider. Its customers are commercial building manufacturers. It could install sensors that would allow it to take responsibility for maintenance of the HVAC system in an as-a-service model, creating a new revenue stream while reducing the building manager's maintenance burden. Many executives these days are big fans of Jim Collins' management treatise, Good to Great: Why Some Companies Make the Leap… and Others Don't. In the book, Collins asks readers to think about their business as a flywheel: Put your effort into identifying the factors that will generate and sustain the most momentum in creating growth. Rossman says that if you have a clear understanding of the systems dynamics — the flywheel — of your business, you can then use IoT to identify and execute on opportunities and risks in your business. "As you're developing your IoT strategy, seek to gain insight into who the right partners might be, where the threats might be," he says. For instance, he says, the big plays in IoT — the ones that will drive billions of dollars in revenue — won't be rooted in proprietary connected devices themselves. Instead, the opportunity will be in providing the infrastructure and tools to help other companies and developers to design, build and operate their own IoT capabilities. You need to understand the moving pieces that will give your IoT flywheel the momentum to carry you to bigger and greater things. “Below the water line is the biggest segment of businesses and leaders who haven’t figured out how IoT will impact their industry or how to take advantage of it,” he adds. Rossman spent four years launching and then running Amazon’s Marketplace business and then ran the Amazon Enterprise Services business. He uses that experience and his subsequent consulting work to lay out 10 principles that he says have helped Amazon become a leader in capitalizing on the IoT’s immense promise. He warns that no one approach to implementing IoT will work for every company. John Rossman, disruptive innovation speaker, is set to release his new book "The Amazon Way of IoT: 10 Principles for Every Leader from the World's Leading Internet of Things Strategies"
Combine a hot technology and the world’s largest online retailer into a single book title and you’ve got a pretty appealing volume. 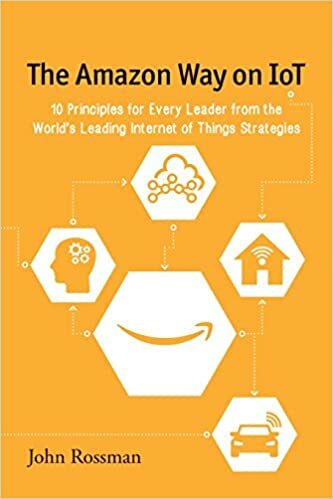 Or so hope author John Rossman and Seattle-area publisher Clyde Hill Publishing, who tomorrow will officially debut “The Amazon Way on IoT: 10 Principles for Every Leader from the World’s Leading Internet of Things Strategies.” Read more of John's Q&A from Geek Wire. ESB exclusive speaker, John Rossman, will be featured in a series of articles on IoT Business News. In Sunday's post, John discusses how leading companies are reinventing the customer experience, and explains the importance of putting the customer first. This is the first of a series of exclusive articles by John Rossman, the author of The Amazon Way on IoT: 10 Principles for Every Leader from the World’s Leading Internet of Things Strategies, for IoT Business News. “I’ve fallen, and I can’t get up!” – Any late-night-TV-watching baby boomer knows the reference to Life Alert, the wearable device that allows the elderly to request medical assistance just by pushing a button. Life Alert wasn’t originally part of the Internet of Things, but it is a button-driven, connected, special-purpose device with many similarities to the IoT products that Amazon and others have launched in the last few years. Most importantly, Life Alert is a living example of Amazon’s first leadership principle—customer obsession. A necklace fob might seem simple, but it fundamentally reinvents the customer experience—both for the elderly, who gain significant autonomy, and for their family members and caretakers, who can feel confident that their loved ones will be able to call for help in case of a medical emergency. Customer obsession is a key driver of Amazon’s innovation. The Internet of Things has made it possible for Amazon to gather key insights about its customers’ needs and put them to use in real time, and to continue to reinvent the customer experience. There are two specific concepts to take note of here. First, customer trust—not profit—is the most critical asset Amazon expects its leaders to build. And second, leaders must obsess over customers. To Amazon, “obsess” means being willing to do really hard things just to make life easier for its customers, frequently in ways that won’t drive short-term profit. Often this means literally making the impossible possible. Most of all, “obsession” means not being stuck in the past. The fact that a product or experience is currently considered “good enough” does not mean that it’s good enough going forward. Amazon has innovated, invented, and scaled a long list of historic firsts including free everyday shipping, search inside the book, selling a used version next to the new version of the same item, customer reviews and on and on. Each innovation on this list was controversial or negatively perceived by industry traditionalists when launched. Because of that strategy, we’ve also seen Amazon confidently lead the way into the IoT product space. Kindle. The Kindle wasn’t the first e-book on the market, but it was the first “connected device” developed by Amazon. And, like Amazon’s entry into online shopping, when Amazon turned its attention to revolutionizing the connected-reading experience, incredible things began to happen. Dash Buttons. A customer-focused Amazon might have been content to sit back and enjoy the spoils of its e-commerce successes, having already revolutionized online shopping. But a customer-obsessed Amazon soon realized that it was missing sales opportunities long before its customers even made it to the website—particularly when it came to household groceries. But the Dash Button has been surprisingly successful. So successful that Amazon is now expanding the buttons to hundreds of new brands and products. The next generation of Dash is a set of sensors embedded directly within devices like Brita filters and washing machines. No button pushing necessary. They’ll reorder water filters and laundry soap on their own. From widespread ridicule to widespread adoption…you’ll remember this pattern from Amazon’s most successful e-commerce innovations. Drones. Amazon’s drone delivery program is simultaneously its most magical and it’s most predictable IoT innovation to date. I say predictable because, unlike the Dash or the Kindle, drone delivery is not meeting customers in a new place or creating a new purchasing platform. It is simply doing what Amazon has been focused on for a long time—making order delivery faster and faster. That is how innovation and disruption begin—create better customer experiences. “This all sounds nice,” you might be thinking, “but I’m not Amazon, my customers need very different things, and we have to generate a profit along the way.” What’s the path? Start with the Customer. Walk yourself through an entire day in the life of your customer. How might connected devices change the way that your product or service fits into their day? One way to start building customer obsession is through a “voice of the customer” program. Keep in mind that successful customer feedback loops aren’t relegated to any one product or channel. They span the enterprise and include a deliberate, ongoing mechanism for taking in data from and about your customers. (One survey is not enough.) The toughest—and most important—part of the program will be empowering it to create change across the organization. This will require buy-in and collaboration across departments. Remove Friction. What problems do your customers face? Why do customers contact you? What parts of your product or customer-service apparatus get in the way of solving those problems? And how could a connected device remove those pain points? Is there data or events you could be collecting that would give you or your customer new insight? As you think about how to reduce friction in your industry, start by recreating a terrible customer experience, and then think about how the Internet of Things or connected devices could improve that experience. Think Broadly. The next most innovative move in your industry may not directly involve your current product or service—just think about Amazon’s drones. Amazon is an e-commerce company, but it turned out that the design of online-shopping sites and the products they offer are no longer the biggest pain points for customers. The speed and efficiency of their delivery are. So Amazon pursues inventions beyond the traditional role of a retailer. Lastly, across all of these experiences, think about the power of the Internet of Things to provide a new interface to your customers. Connected devices empower you to learn more about your customers and to build deeper insights into your products and services and the environment in which they are used. What data would help you understand your customers and their experience better? How can you collect that data? And, most importantly, how can you use that data, once collected, to create value and improve your customer experience? Integrating this kind of thinking into your current customer planning is the key to transitioning from customer focused to customer obsessed. 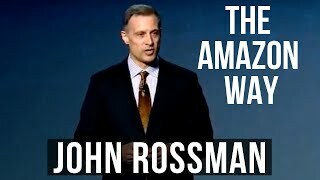 John Rossman is the co-creator of the Amazon 3rd Party Marketplace, and is the author of "The Amazon Way". As Jeff Bezos' right hand man during this critical new venture for Amazon, he was responsible for building the Amazon platform many of us sell on today. In this episode, John and Kevin discuss how the marketplace was created and some of the leadership principles used to drive success. In the beginning - The creation of the Amazon Marketplace and how it evolved. The importance of building trust with your customers and how Amazon achieves it. Why Amazon believes owning "control" of the customer experience is so important. Amazon's original goals when creating the third party marketplace and how they have been realized. Tensions between Amazon retail and the third party marketplace. How the marketplace far exceeded expectations and the evolution of third party brand builders. What private label sellers can learn from "The Amazon Way"
How Amazon is "the best place to fail". The future of online selling and Amazon. Advice: "Take a long term perspective in building a brand and understanding your customer"
"In planning our 2015 product organization kickoff, we looked for a speaker who could both inspire and offer practical insights on execution. We were lucky to have John Rossman present to the team. John introduced us to the key leadership principles he observed during his time at Amazon, which are also described in his excellent (and accessible) book, The Amazon Way." "We needed an expert to speak at our corporate leadership event—someone who was able to speak at length on adopting different corporate cultures and looking at business from a different perspective than our own. While people may not think of Amazon and AAA Washington as having much in common, finding ways to make a business more efficient and keeping the customer in focus is a basis for all organizations. His personal history at Amazon gave us a unique view of an incredibly successful company and what it takes to innovate, lead, and sometimes disrupt the status quo." "It was a privilege to have John Rossman speak at our March 25th, 2015, Georgia Technology Summit. Our Summit is one of the largest tech events in the SE, with over 1,300 attendees participating. This year's Summit theme was "Disruptive Innovation - The Power to Inspire". John's remarks were right on target. Combining key points in his Book, the Amazon Way, with his broader knowledge base, made for a quality presentation. One participant sent me an unsolicited note comparing John's presentation to a high-level Ted Talk. I would recommend John for speaking opportunities for an event of any size when the topic revolves around innovation and/or disruption. He was also a pleasure to work with, which is a sometimes overlooked aspect when it comes to speaker selection, yet of critical importance." “John Rossman helped our technology organization in many ways including giving a keynote about what being digital meant, and several tools and strategies to develop this throughout our organization. The speech resonated with the team and discussion continued far after. If you’re thinking about building your digital strategy and capabilities, John will give you unique and actionable insights”.